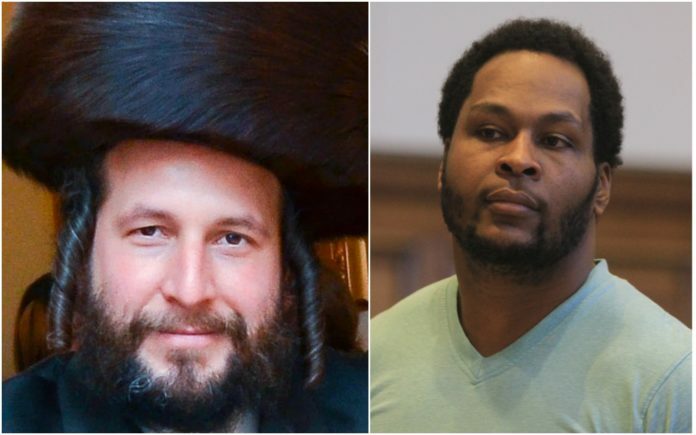 The alleged mastermind was convicted Monday of the murder and kidnapping of Menachem Stark Z”L, finally concluding trials that, after more than 5 years, has resulted in guilty verdicts or pleas from all four men believed to have been involved in the horrific crime. Erskin Felix, 40, of Crown Heights, Brooklyn was convicted of first-degree kidnapping, second-degree murder and tampering with physical evidence following a jury trial before Brooklyn Supreme Court Justice Danny Chun. He faces up to 25 years to life in prison when he is sentenced on May 1, 2019. Felix — along with brother Kendall Felix, cousin Kendel Felix and cousin Irvine Henry — were charged in connection with the January 2014 kidnapping and death of Stark as he left his office in Williamsburg. The 39-year-old’s charred remains were later found in the dumpster of a gas station in Great Neck, Long Island. Erskin Felix managed construction sites owned by Stark, a real-estate developer. The other co-conspirators worked as carpenters on those construction sites. According to prosecutors, Erskin, claiming Stark owed him money, plotted to abduct Stark and hold him for ransom. Erskin and Kendel kidnapped Stark outside his Williamsburg office during a night-time blizzard on January 2, 2014. After the victim fought unsuccessfully to escape, they forced him into a Dodge minivan, bound his arms and legs with duct tape, taped his mouth and placed a ski mask over his head. Kendel drove away while Erskin restrained Stark in the back of the van by sitting on his chest, according to testimony. Erskin and Kendel picked up defendant Kendall Felix (Erskin’s brother) and they drove to the home of Irvine Henry (another cousin), the evidence showed. Kendel Felix and Irvine Henry testified against Erskin Felix, in the hopes of receiving reduced sentences. Both portrayed Erskin as the mastermind of the kidnapping scheme. The case was prosecuted by Senior Assistant District Attorney Emily Dean, of the District Attorney’s Homicide Bureau, and Assistant District Attorney Howard Jackson, Deputy Chief of the Homicide Bureau, under the supervision of Assistant District Attorney Christopher Blank, a Bureau Chief in the District Attorney’s Investigations Division and Assistant District Attorney Timothy Gough, Homicide Bureau Chief.